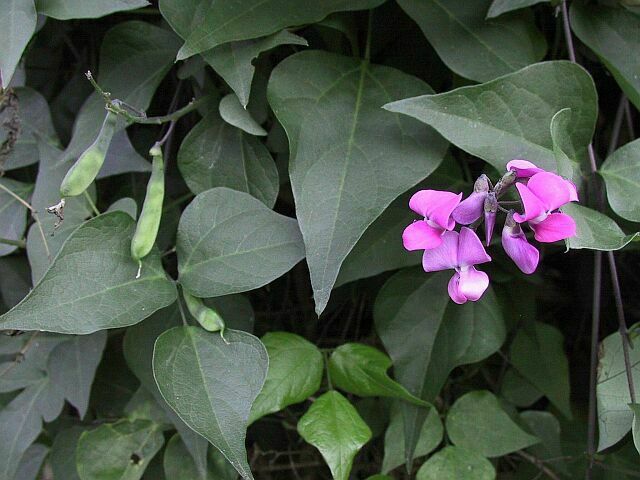 Dipogon lignosus (okie bean) is a perennial vine (family Fabaceae) with pink flowers and broad triangular leaves found in the southwestern ranges of California. It is native to South Africa. It favors forests, woodlands, and riparian and bottomland habitat. It spreads via seeds and rhizomes. Seeds are dispersed via birds, water and possibly ants.